The next economy of the San Joaquin Valley inched forward this year as the recovery continued its upward trend. There are two factors that will help sustain the economic and social vitality in the Valley; education and transportation. A workforce exists, and will continue to expand as demand for skilled labor increases, encouraging higher paid work for competitive products. Developing a strategy to partner with educational institutions to supply future workers and managers is vital to sustainable growth. Accommodating and attracting diverse industry depends heavily on access and sustainable planning. More than a quarter of the Central Valley population does not hold a High School Diploma. Despite the fact that there are several universities in the area only 16% of valley residents hold a bachelor’s degree or higher. 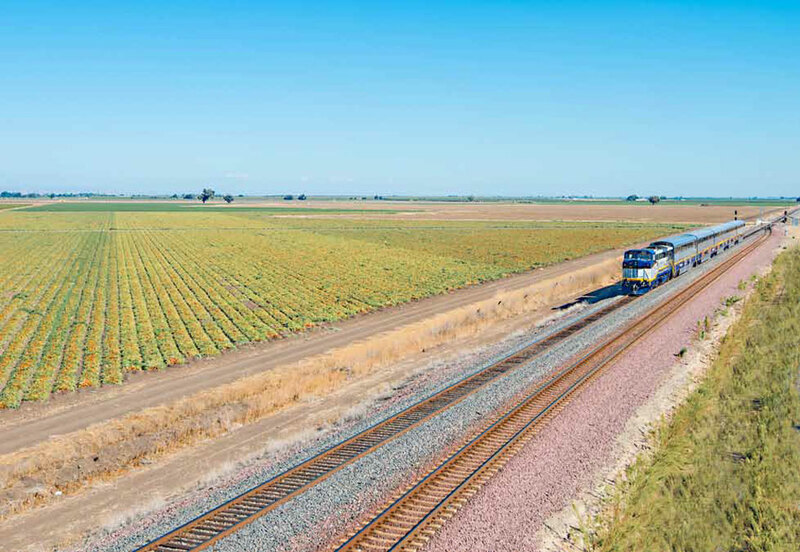 The California High-Speed Rail is the most ambitious and transformative project that can directly improve the access to-and-from communities with sustainable solutions designed to capture and foster value. Despite the persistent drought, the San Joaquin Valley remained resilient, even showing signs of strength during the first quarter of 2015. The seven county regional unemployment rate fell half a point below its natural rate of 12.2 to 11.7 percent. As the agricultural sector continued to suffer from the drought, coupled with a decrease in demand for low skilled labor, non-farm related sectors appeared to pick up the slack. 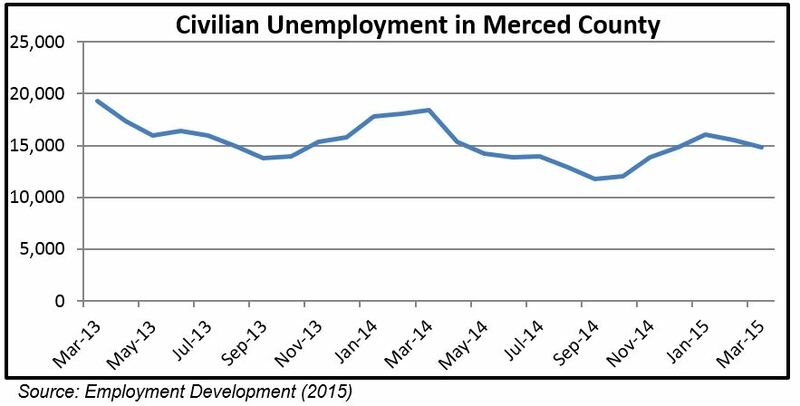 During this time, employment in Merced and Fresno counties posted the fastest growth while Madera County recorded the only decline in employment. Most notably, perhaps due to the Affordable Care Act, the information sector employment reversed the systemic decline of growth with a positive two percent growth rate in the Valley. Although the Central Valley will continue to grow at a slower rate than the State in general, there does exist potential transformational opportunities from which to capitalize. Greater participation and coordination with the regions’ higher educational facilities will be pivotal in providing and retaining an educated community. Benefits of higher education is axiomatic, however it should not be overstated that communities w ith an educated population tend to promote greater quality of life. Existing institutions could provide more opportunities to diversify new economic and job opportunities through workforce development in science and engineering among others. As stated above, the Central Valley faces opportunities with transformational potential to connect with the 21st Century economy. The California High-Speed Rail project will not only help alleviate existing transportation corridors, reduce GHG emissions, and provide a better link to the economic centers of the state; it could bring people together, fostering new relationships. In the long-run, the valley will be positioned to be more fully integrated into the larger state, national and global economies. Station cities are in the process of planning and strategizing for future economic and social benefits. Stations will be located in the heart of downtowns allowing cities to leverage funding by providing a mechanism to plan for future business, residents, and travelers. The San Joaquin Valley is poised to make gigantic leaps forward through these potential economic and social opportunities. Priorities in education and transportation will likely encourage private investment and graduate retention. Investing in human capital through coordinated efforts to align our workforce development and facilitating smart transportation projects will provide a dependable foundation for the Central Valley’s next economy. Marcus Tucker is the High-Speed Rail Project Coordinator for the City of Merced, and MMANC Region 5 Co-Chair. Marcus earned a Masters in Public Administration from Stanislaus State University, Stanislaus in 2014.